The Mayor of the island of Salamis, Isidora Nana Papatahnasiou told Proto Thema that the leakage of petrol from a tanker that sank on Sunday in the Saronic Gulf was an ecological catastrophe. 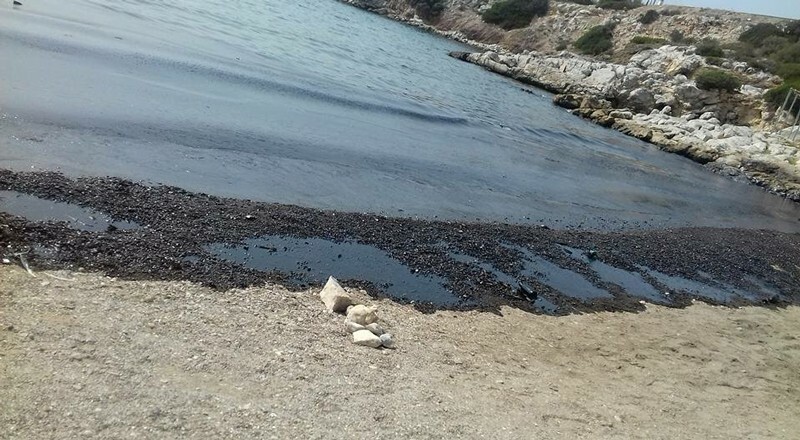 Tanker “Agia Zona II” had sailed from the Aspropyrgos refineries with 2,200 metric tons of fuel oil and 370 metric tons of marine gas oil. 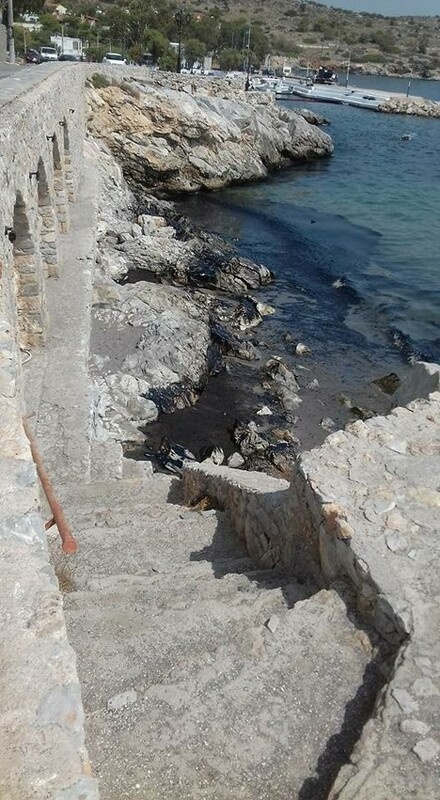 Until now, the causes of the shipwreck remain unclear, but unconfirmed information suggests that the ship’s engine room may have taken in water. The ship sank in the area southwest of Atalanti in the Saronic Gulf, at 2:45 in the morning of Sunday. 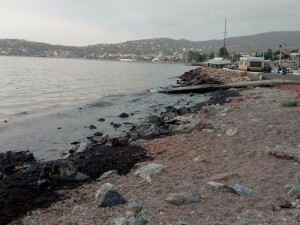 The images from the beaches of Salamina yesterday revealed the extent of the ecological damage on the coastal line of the island. 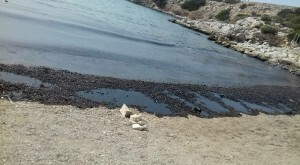 The beaches of Salamis from Cynosura to Selinia were black covered in fuel oil, while oil and tar had spread over a length of 1.5 kilometers. 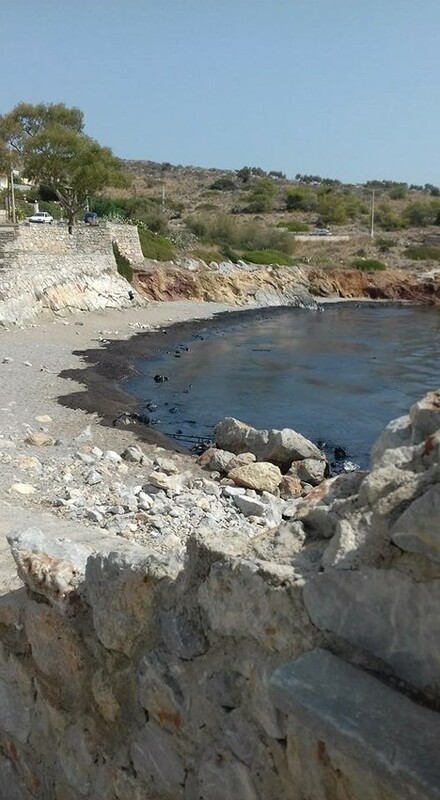 Protothema.gr contacted the Mayor of Salamina, Isidora Nannou – Papathanasiou, who spoke of a huge ecological disaster but also of a significant delay from the competent bodies in dealing with the problem. 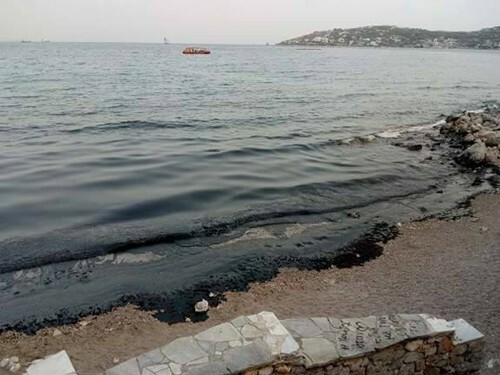 “There is a great ecological disaster in Salamis, not just pollution, it is a disaster, because the oil has reached the outside, it has covered the coast. It is the entire area of ​​the Selinia and the area of ​​the Cynosoura. The smell is unbearable”, she said. On his part the manager of the company assigned with part of the cleaning up process, Mr, Mamalukas was reassuring, dubbing the word “destruction” an exaggeration as he claimed there will be a complete restoration of the coastline and the environment: “The ship was quickly sealed off which stopped further leakage. 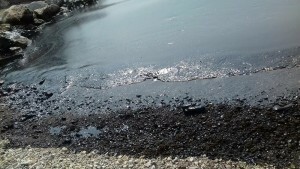 When the ship sinks and oil leaks, you do not have time. It spreads at a rapid pace. The fact that oil appeared a few hours later has nothing to do with the speed of the reaction, but rather with the speed at which the blob moved due to winds and the currents” , he said. 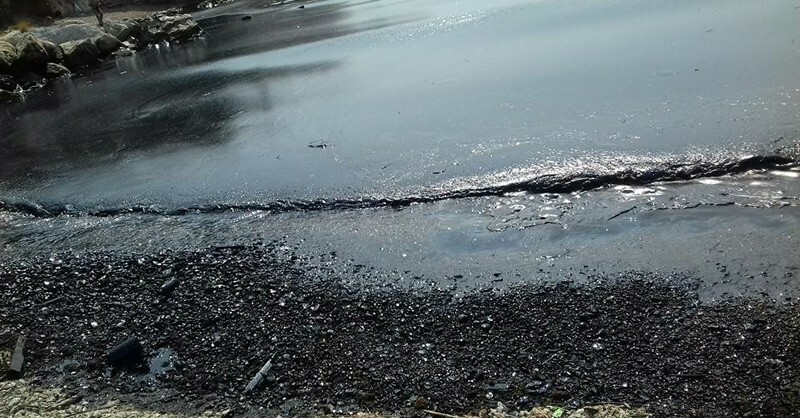 There are currently twenty-three privately-owned ships operating in the Selini area and five anti-pollution vessels. 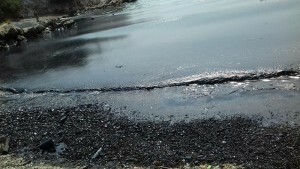 More are expected to arrive to speed up the cleaning process and contain the leak to other parts of the island. The captain and the first engineer of the tanker were released by authorities after being arrested. 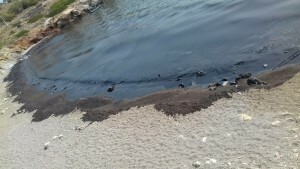 They are scheduled to stand trial at a later date.